Why I loved you brighton, people were holding hands and loving each other. People were embracing their individualism. I wander down your beach late at night, watching the stars as I listen to your waves. The beach is endless and your alleys bustling with footsteps.You’re beautiful sunsets were a perfect start to a beginning. You can do this, Time to problem solve and enjoy doing it. This is the time to show myself, no matter how much it all seems like an obstacle that I can think my way through it. That I can adapt and be ok anywhere…and still appreciate everything while I’m doing it.Telling myself this as I spend my first night in a motel, with absolutely no plan and now completely on my own with this giant backpack in Brighton in the south of england. I had just spend 5 weeks in Sanwidch up in Kent, and had caught a ride with Dave a guy in a chair I know from the tennis circuit when I was playing. I knew I was flying out of gatwick 28th of feb so another month and a bit before heading off to the states…What was I going to do?…I’ll go for a push, thats what I’ll do.Music in. I’d spend most of my time in Brighton Pushing up and down and through the town with my little daypack to put a book, my sweater and my charger so I could go to a coffee place at some stage and charge my phone and read. Just in general the day pack was good because anytime I carry something on my lap it always is falling off. Next obstabcle was how was I going to survive?. I knew I didn’t come away with enough money, I had to go..I set this date when I was 22 that I had to leave before my 28th birthday. Enough time to have finished my apprenticeship and work a year..6 years to make sure I was ready, I was going ready or not. Well I play guitar, and busking is on my bucketlist. I couldn’t put myself out there much more than that. So off down to a music store to buy a guitar..I figure, this a cost but I have the money now to buy this but wont soon. At least this way if I end up with nothing, I have something to make money. I had bought my songbook with my originals too, so I came up with a setlist and practiced it with a few covers but I enjoyed playing original stuff more. The guitar had a bag with straps so I could wheel around with it on my back, and I figured a way to attach it to my already big backpack…so now it only weighed a trillion Kilograms and took me a couple of practices to figure out how to get them both on and off my back.. 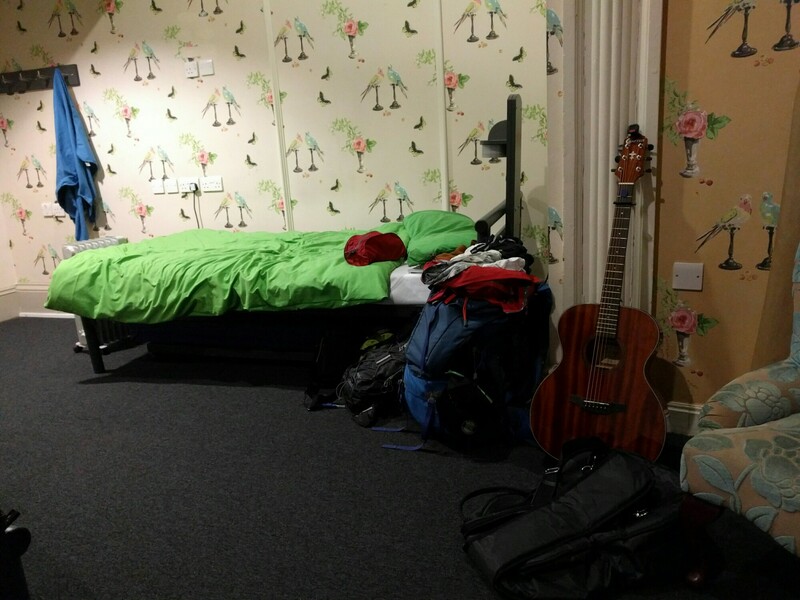 I booked a week in a hostel, the YHA which was orginally a hotel that was bought by the YHA. It was such a cool hostel, with a wicked vibe. I tried to make life easier on myself by booking places that didnt have steps and I knew I could stay on the bottom floor or they had a lift.The UK was not a terribly accessible place, with all the building historic.So I spent most of time staying in places that had stairs, which I’m totally cool with..I’ve always tried to adpat to the world around me instead of it having to adapt to me.That way I could be more independant. Had a day off mooching, thats what they call wandering around. Do people like my shoes or do I have funny feet? I found myself wondering as I wheeled around Brighton, I did stick out a bit because I didn’t see many people in chairs around..probably because on the accessibility and hills, but I had a chick say “nice kicks” (shoes apparently haha) and my shoes were expensive, So I went with the shoes theory. I spent the day going into places to see if they needed volunteers, It would give me something to do and also I was hoping I would end up with an offer for somewhere to crash so I wasn’t spending all my money on Accommadation and I hadn’t had any replies from the workaway site yet. I’m sure I’ll figure it out. I met up with an austrilian girl I had met, Mary, and she was travelling on her own too. 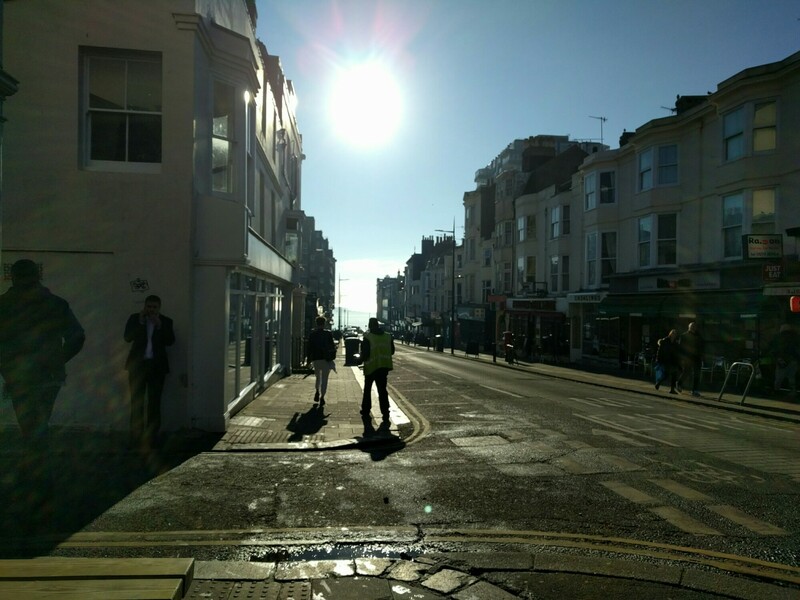 So we became brighton friends and hungout when we got bored at our respective hostels..so I ended up having a buddy for a week or so which was cool, because after the first week mooching around the city had lost its appeal and I had literally wheeled all over brighton. Also I had met up with a couple of basketball teams, And had trainings with them. I had my basketball wheelchair with me so I could travel and people helped me get to and from training or I caught Ubers. I trained every night with a different team that week and it so felt good to be training…Not that the pushing around the city wasn’t good training. 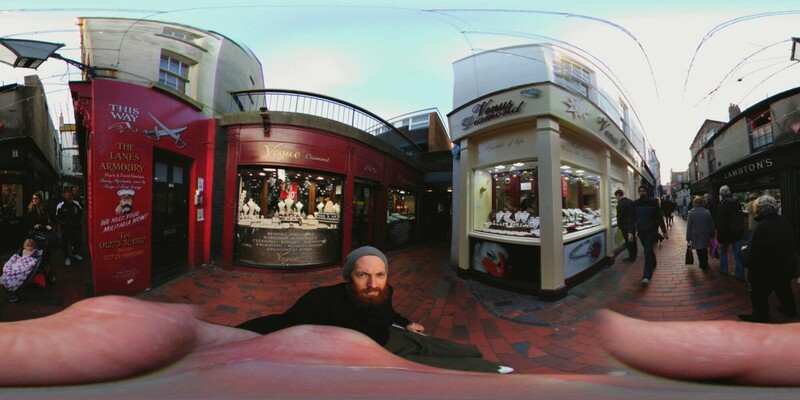 So close to busking, I’m so scared. I did a wee sign and took the guitar out for a walking finding the places that would work well acoustically and with the crowds of people. At least I got that far but if I got that far why not go that tiny bit more and play?. I dont think the playing bothers me, it was being in peoples faces…Tomorrow I’ll do it. I didn’t end up finding anywhere to crash, so I had to decide whether to stay another week. I had found somewhere in london with some friends, Sile and Alex. they werent ready for me until next weekend. I knew I had done everything in brighton now, well as a traveller anyway. Although a well travelled man through sport, I have no idea where to start or what to do. I’d love to be in the country somewhere…but I’ll book another week at the hostel. Still no replies from workaway…darn it. Today I did it, I can tick busking off my bucketlist.As soon as I woke up this morning, I got straight out of bed and grabbed the guitar and got a coffee.I was hoping the dazey mind from just waking up would stop me from talking myself out of it. Although I made 70 cents haha so I’m not sure it counts. I had amazingly picked today, the coldest day on record for brighton someone had told me…so I really didn’t stay out long. The hardest thing was just pulling the guitar out of the bag, playing wasn’t hard. I orginally went up to a shopping centre but was told that I would get told to move, so that scared me a little bit but I still went to another spot and started playing. I just need to beat 70 cents now…I’m sure I can do that. 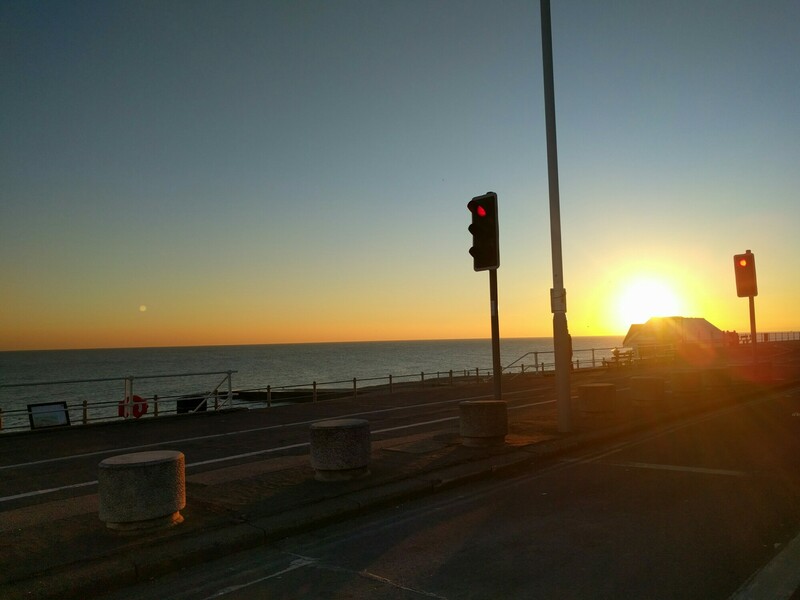 I went do to littlehampton for a training today, which was about an hour out of brighton. It was a port town, so I wheeled around the seafront. I had a few hours to kill before training, I found a botique looking bookstore and had a look around and picked up a couple of books and put them in the daypack. A sentence in a book or a phrase from a stranger can make me happier than a year of working or all the money in the world can, and thats what I got from this philosophy book I picked up at this store. I met up with mary and a guy from her hostel, and we went out for drink. Then we went out to a nightclub…I love music and dancing, and people too. If I thought people hadn’t seen someone in chair before while I was out mooching, They definetly hadn’t seen someone out clubbing… not here anyway. It was a positive vibe though, got treated a bit like a celebrity. My last week in brighton before I head off to london.I don’t spend much time in the hostel, I’ll go out and get a coffee, listen to a band, go for a push and listen to music and people watch and people talk haha. I went to the cinema and the guy there was super friendly and had told me he had handed in his notice and only had 3 days of work left so he gave me a free ticket..people are awesome. The weather had turned from cold and sunny to rainy, and I spent sometime pushing in the rain. There is something about sitting in the rain which is nice, if you let go of the fact you are going to be soaking wet. Also I went and played a poker tournament, which was totally random but fun. It was intimadating because I had only played online poker before but I gave it a shot. Would be nice if I could just win it haha but playing online poker and real life poker was a bit different. Went out for a goodbye drink with some people I had met, Hilde and co. they were very welcoming for a stranger pretty much. Also met Kate and Jenny who were hardcase chicks and hungout with them for a while in a local before I made a solo trip back to the hostel listening to music and watching the rowdy people enjyoing their friday night. Off to the bustle of london tomorrow for the big city experience..Wish me luck . Reblogged this on A Backpack , A Chair and A Beard. Wow you truly inspire me. I’ve been in a wheelchair since 2013, and I get scared just traveling to a different state bc there are so many unknowns. I’m truly amazed! You set the bar for wheelchair users!! !